As a builder, your construction details are AWESOME! As your father, “That’s pretty good”!! Thanks, You and Jeanie would love this place, because they have all kinds of old cars and Stanley Steamers in the buildings that you can see just to the right of the turret. Coming from a lifelong pro, that is a nice compliment! … as always, your paintings are FABULOUS!!! Another one with which I’ve fallen in love!! 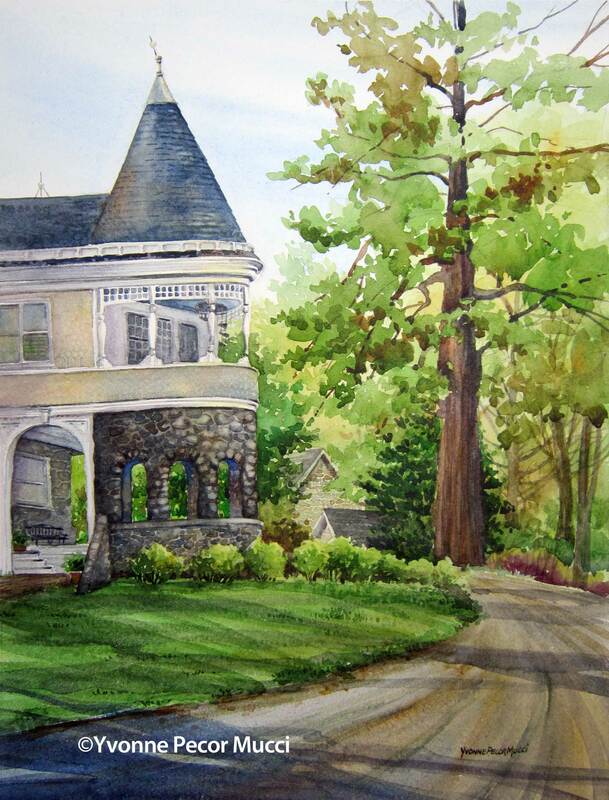 I just applied to be part of this plein air event and am really hoping to be accepted for 2015! Thanks! This was a really challenging painting week. I had to complete 4 paintings from start to finish in 4 days, without being able to scout out the location ahead of time. I’ll post the next 3 in the days to come. Beautiful, Yvonne! 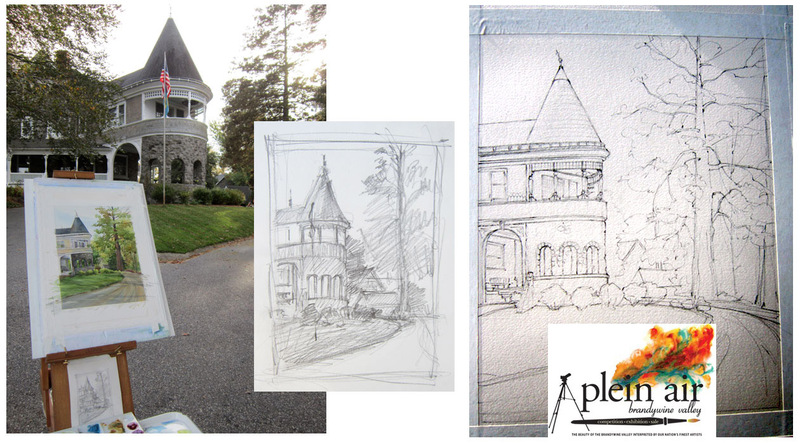 I also love seeing the sketches; it’s a window into your process.